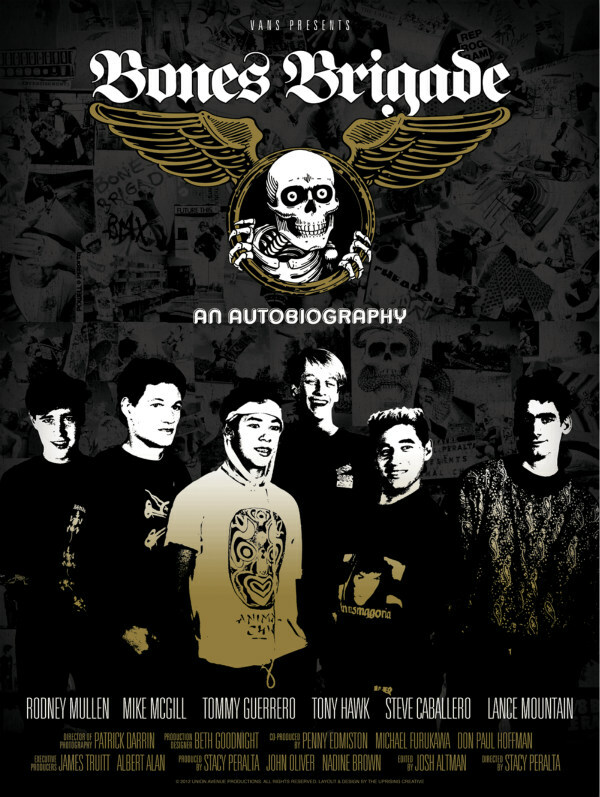 Bones Brigade: An Autobiography is a documentary film directed by Stacy Peralta and in the documentary, the director looks back on his own career as a skateboarder and as manager of a talented team of skateboarders. Two fonts have been used in the film title: the “Bones Brigade” part features a blackletter which is very similar to Fette Fraktur while the rounded sans serif font setting the text “An Autobiography” is very similar to Ruby Highlight designed by David Buck from New Zealand. The Fette Fraktur font identified above is not available for free, please follow the link above and purchase the font. Meanwhile, you can take a look at our collection of fonts for cars, pop music and apparel as well as round-ups of new & fresh fonts around the web. In addition to Bones Brigade, Fette Fraktur typeface is also used in the following logos, movie posters or album covers etc., including: Black Clover, Mother Logo, Castlevania.